Dr. Cassis graduated from the University of Montreal School of Optometry in 1992. She worked in private practice for 2 years. She then completed a Primary Care residency at The Eye Institute of The Pennsylvania College of Optometry in Philadelphia in 1994- 1995. She then moved to the Hampton Roads area and worked in different practice settings. She founded N2Eyes Comprehensive Optometry in 2004. She has thoroughly enjoyed giving personalized care in a smaller professional setting and loves the close relationship she is able to develop with her patients. Dr. Cassis has extensive knowledge and experience in the management of ocular diseases, refractive surgery, contact lens fitting as well as primary care optometry. She is very passionate about difficult contact lens fitting and scleral lenses for keratoconus and diseased corneas. 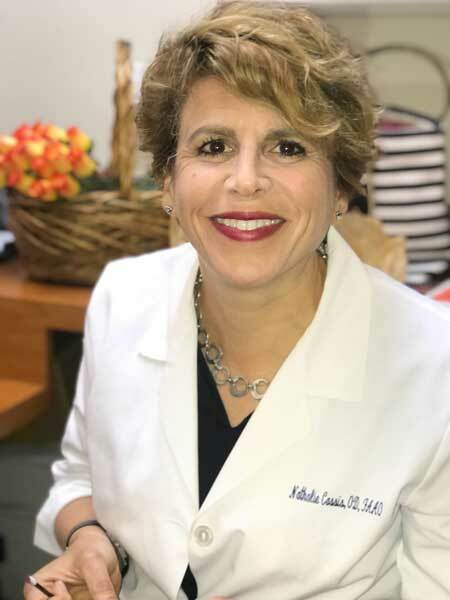 “To change a patient’s life by given them great vision is the most thrilling part of our practice and is at the heart of our mission statement” Dr. Cassis has emphasized continuing education in a professional environment throughout her career and her ongoing commitment to furthering clinical knowledge continues to this day. Dr. Cassis sincerely believes that we are, for the most part, responsible for our health and wellbeing. She believes in exercising daily and is known to challenge herself with long distance endurance events. She has completed several triathlons, notably 4 half- ironmans and 2 ironman distance events, the latest was Mont- Tremblant in August of 2018. Although there is no big race on the calendar for 2019, she will continue to pursue endurance events such a 50km trail run and a century bike ride in the next few months. Dr. Cassis and the entire team of N2 Eyes are very passionate about making their patients feel comfortable in the office and exam room setting. Although this is a doctor’s office, they want their patients to feel at home and at ease discussing eye care issues and other related health problems. There is only 3 exam rooms and the office is cozy and comfortable. Hot beverages and snacks are offered to make the visit more enjoyable. Who can chose 1 or 2 with a grumbling stomach!!! N2 Eyes Comprehensive Optometry is a member of the Retail Alliance and was awarded “Retailer of the Year” in 2016 for the Peninsula in the service category. 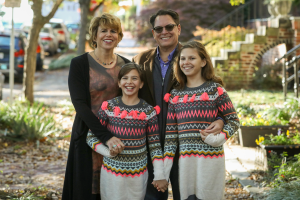 Dr. Cassis is also very involved with the Girls Scouts and is leading her daughters Junior Troop this year. The projects being pursued by the Girls Scout under Dr. Cassis’s guidance include volunteering at the FoodBank as well as container gardens for the For Kids organization, a homeless shelter for women and children. N2 Eyes makes several charitable donations monthly and those can be viewed here. Dr.Cassis firmly believes in supporting local and international organizations that improve the lives of women and children, giving them the opportunity to improve their living condition and fulfilling their potential, making the world a better place.